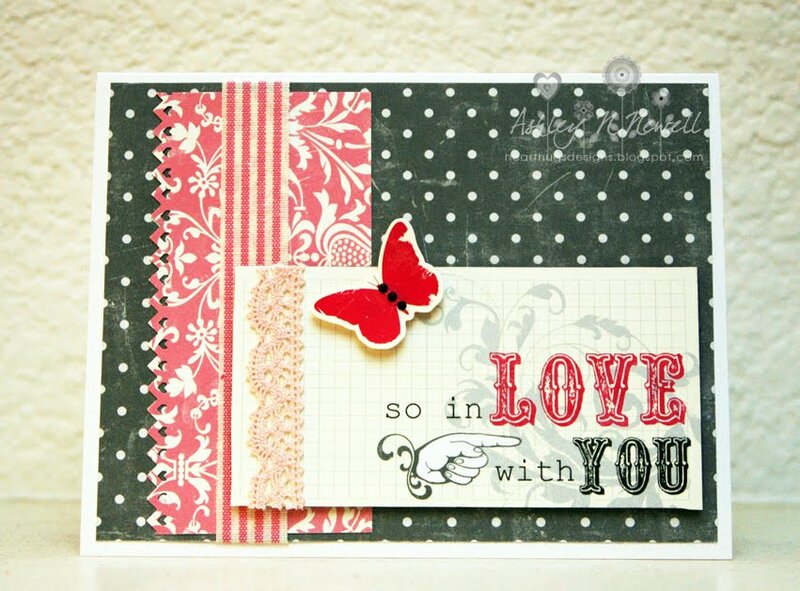 For my card, I used the Red Stripe Fabric Tape and the Light Pink Lace Tape. All the paper elements are from the Echo Park Be Mine collection kit. I also punched an edge with a border punch and added some gems onto my butterfly sticker.